Fridge magnets are an effective promotional product as they are a reminder that your service is readily available. They are relatively inexpensive to produce and majority of Australians will have some form of advertising exposure to fridge magnet. Just have a look at the fridge in your very own kitchen. Fridge magnets are a popular choice amongst our customers who are in the business of professional services. These include plumbers, carpet cleaning businesses, dentists, real estate agencies, doctors, vets and more. 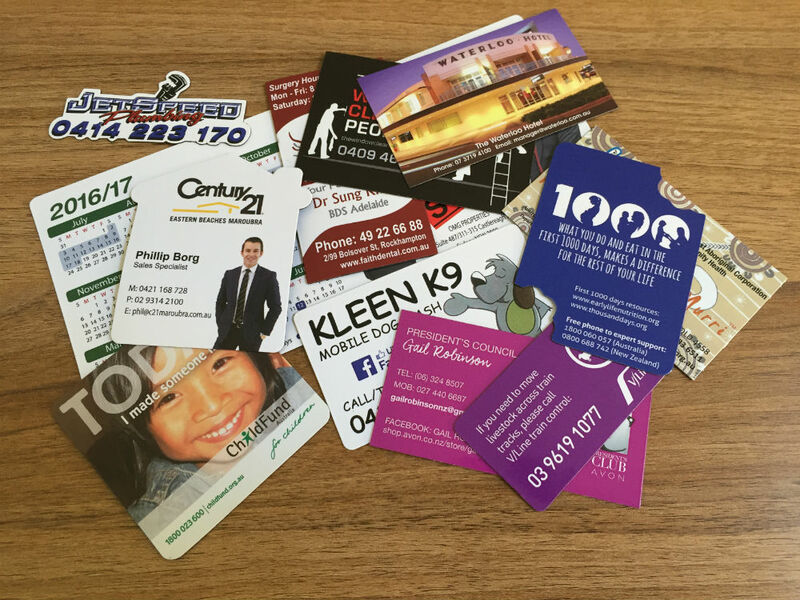 Print Concierge can print fridge magnets in various sizes and shapes. The magnet pieces can be printed at various thickness levels. The standard is usually between a 0.4mm – 0.6mm and are gloss laminated as standard. Simply choose between square edges or round cornered edges at no extra charge. Magnets usually take between 5-7 working days and we deliver Australia wide as well as internationally. At Print Concierge, we also specialise in printing DL sized calendar cards. These are simply a DL cards (99mm x 210mm) with a small 20mm x 40mm magnetic piece adhered on the reverse side of the card. They are especially effective amongst our clients in the real estate & property industry. We can also provide letterbox drop services for mail distribution within a particular local area you wish to target. Click here to be directed to our Mailing & Fulfilment page for more information, or simply give us a call on 8664 4787.